Bollywood is an exciting and colorful, musical and over-the-top, wonderful group of films. It's a vast and intimidating breed of film—knowing the good ones from the bad takes hours and hours of subtitles and musical numbers. That's where I come in! Now, "Bollywood" is often used to refer to the whole of Indian cinema, though it really only refers to Hindi language films. It's formally known as Hindi cinema and is based in Mumbai, but I will openly admit that as I do not speak Hindi, a few other Indian films might accidentally make it into these spotlights. For that, I apologize in advance. If you're new to the genre, maybe start with an English Bollywood-style film, like Bride & Prejudice, to ease you into it. If, however, you want to dive right in, here's your platform. Happy watching! Rahul just wants a peaceful, fun trip with his friends, but when his grandmother wants him to submerge his grandfather's ashes in the Rameshwaram, his short detour takes a very unfortunate turn. But of course even the most dangerous of situations can have a bright side... like a very beautiful woman who drags him along on the adventure of his life. I know it's only half in English... Guess you'll just have to watch the film! This was my first experience with Shah Rukh Khan, the famous SRK--one of Bollywood's finest--and I must say that so far it's my favorite. This film is fast-paced, almost but not quite to the point of being uncomfortably so, and it often feels reminiscent of an 80s action television show. It's funny, it's absurd, it's heartwarming, and it will keep you entertained from beginning to end. Definitely worth a watch. "Don't underestimate the power of a common man!" 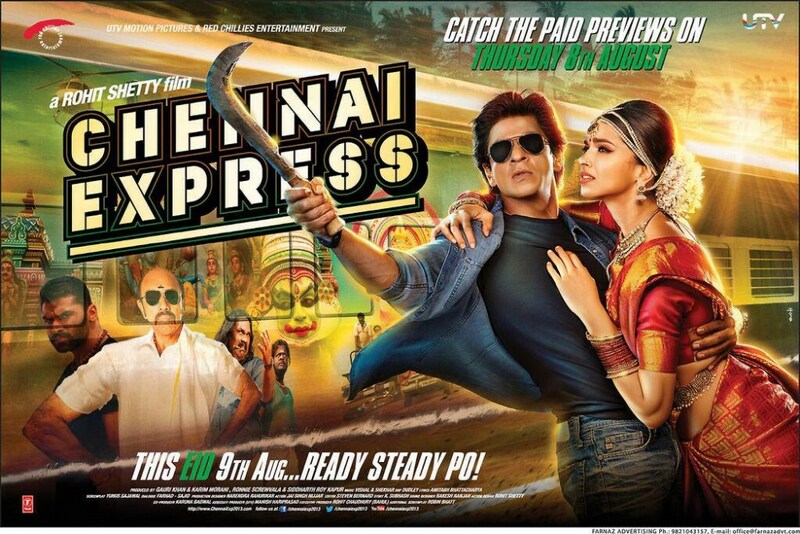 Have you seen Chennai Express? What did you think?